One horror film of the last 5 years that is definitely worth a viewing is The Descent by Neil Marshall. One film I never expected a sequel to is the very same movie. It seemed pointless and unnecessary and I for one hated the idea. Until I saw the first trailer some months back. The sequel picks up right where the original left off and looks like it may be a worthwhile attempt. 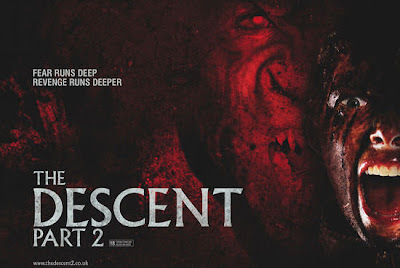 The official synopsis reads: Terror mounts as fear cuts deeper in the chilling continuation to the globally successful horror hit THE DESCENT. Traumatized, Sarah Carter (Shauna MacDonald) emerges alone from the cave system where she confronted her darkest dread. With no rational explanation to what happened, the authorities force her back into the subterranean depths to help locate her five missing girlfriends. But as the rescue party enters further uncharted domains, flashbacks start haunting Sarah as shocking memories of the past hit home. For they are venturing into the habitat of a new tribe of Crawlers, even more viciously feral than Sarah faced before.